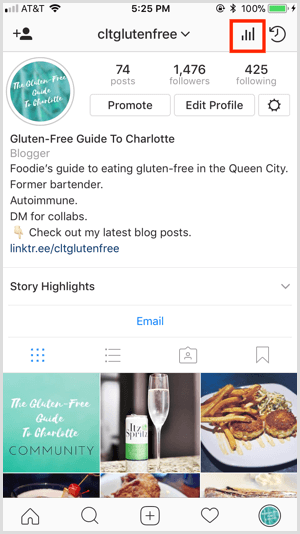 Do you have an Instagram business account? Wondering how to analyze your Instagram activities? 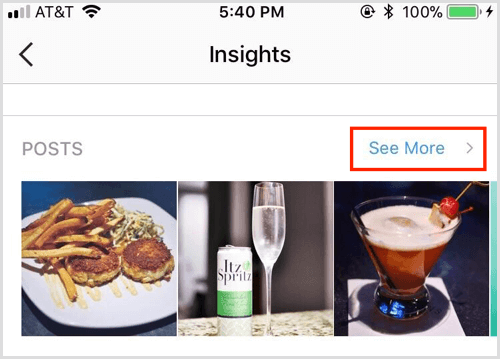 In this article, you’ll discover how to use Instagram Insights to evaluate your followers, posts, stories, and promotions. 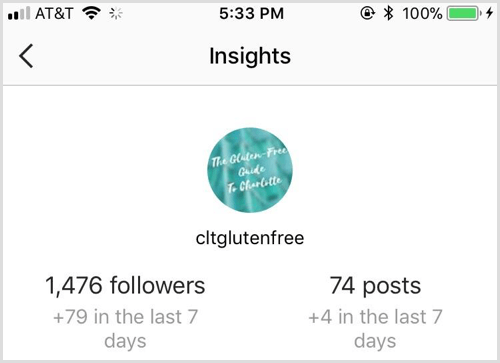 Instagram Insights is a native analytics tool that provides data on follower demographics and actions, as well as your content. This information makes it easy to compare content, measure campaigns, and see how individual posts are performing. To access Instagram Insights, you need a business account. If you convert a personal account to a business account, you’ll see Insights for any content that’s posted after you make the switch. If at any point you switch your business account back to a personal one, you’ll lose all of your Insights data. 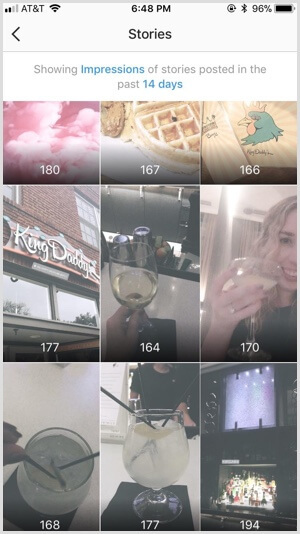 You can find Insights data in three different places in the Instagram app. 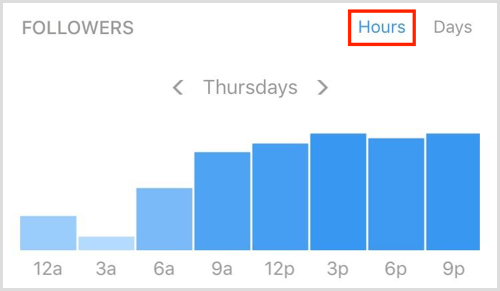 To access Insights from your account page, tap the bar graph icon in the upper-right corner of the screen. 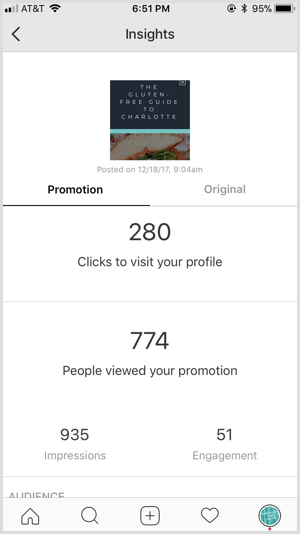 To see analytics for an individual post, navigate to the post and tap View Insights in the bottom-left corner. To see data for a story, open the story and tap the names in the bottom-left corner. The Insights homepage shows a summary of data for the content you’ve posted in the last 7 days. In the top section, find out how many total followers you have and how many you’ve gained in the past 7 days. You can also view how many total posts you have on your account and how many you’ve added in the previous week. Scroll down to see a series of bar graphs that reveal the total impressions, reach, and profile views for the past 7 days. Swipe to view website clicks and call-to-action button clicks (Call, Email, Directions). 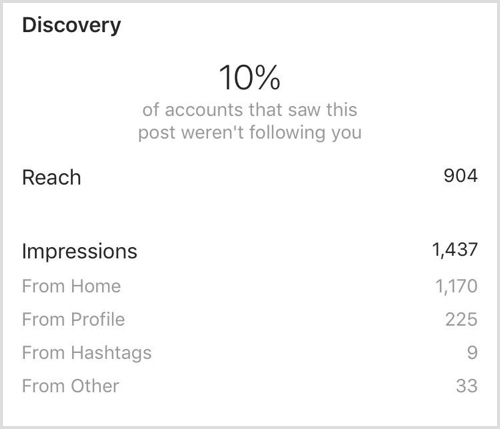 Now that you know how to access Instagram Insights, here’s how to find the data that matters to your business. 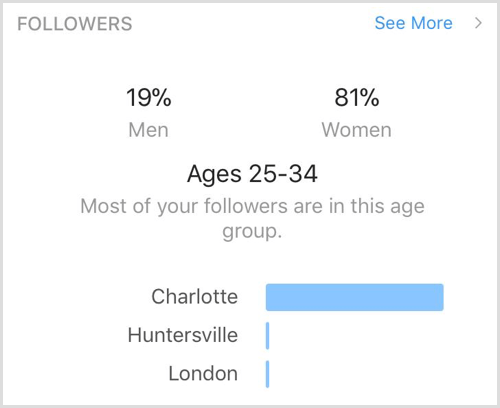 On the Insights homepage, scroll down to the Followers section to see a summary of follower demographics including gender, age group, and location. Note that you need at least 100 followers to see demographic data. This information helps you better understand who your followers are and where they’re from so you can assess whether you’re reaching your target audience on the platform. In addition, these insights can inform your Instagram ad targeting. For example, if you want to reach an audience similar to your followers, target the demographics of your current audience. At the bottom of the Followers section, you’ll find two graphs that show when your followers are most active on the network. 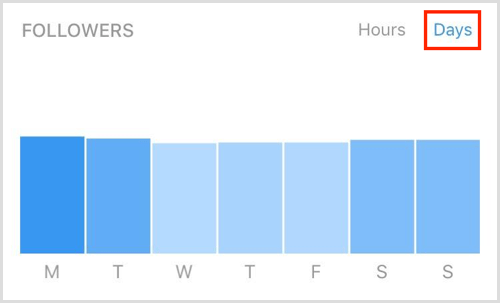 In the first graph, find out when your followers are online each day. Scroll down to the second graph to discover which days your followers are most likely to be online. Look for patterns in the times and days your followers are online so you can post content at times that will maximize reach and engagement. Additionally, create a posting schedule that best reflects when your audience is online. 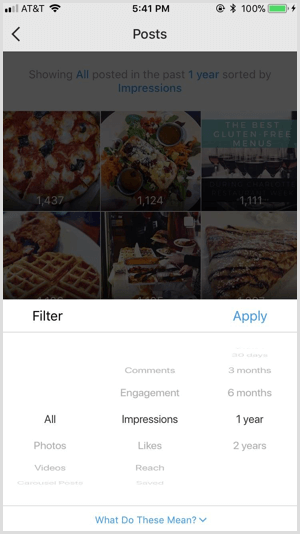 Instagram lets you view data for multiple posts at once or delve into metrics for an individual post. The Posts section of the Insights homepage shows your three most recent posts. Tap See More to view additional posts. By default, the Posts section shows the total number of impressions for all of your posts in the past year. The filters let you zero in on relevant data to measure goals, campaigns, and best-performing content. To measure campaign goals, filter the data by timeframe and identify the type of content posted. This data can also help you identify successful and unsuccessful posts so you have an idea of what content your audience prefers. 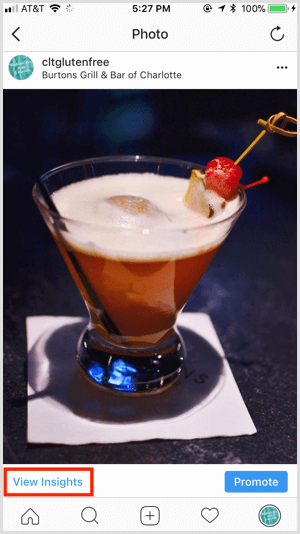 For example, you might discover your audience engages more with photos of products with people than simply products alone. If you want to see data for an individual post, open the post and then tap View Insightsin the bottom-left corner. Drag up to view a variety of metrics for that post. At the top, you find engagement stats(likes, comments, and saves). The first stat in the Discovery section is the percentage of people who found your post and weren’t following you. 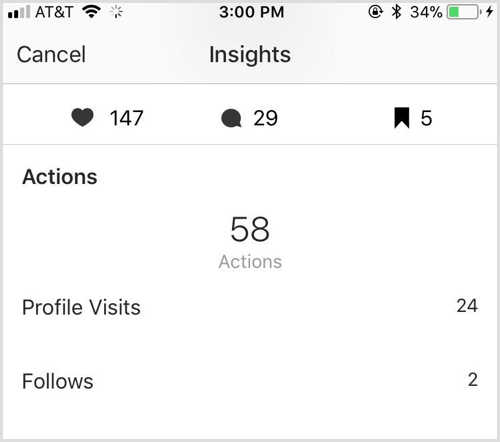 You can access insights for your Instagram stories from the Insights homepage or directly from an individual story post. If you access stories data from the Insights homepage, you see all of your stories posts for the past 2 weeks. This view only shows data in the aggregate; you can’t click on individual posts. 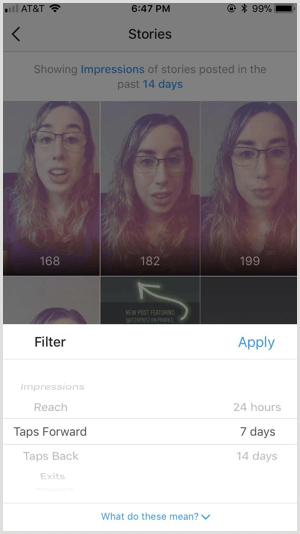 By default, Instagram shows impressions data for your stories. Analyze this data to find out what stories content is resonating with your audience and what content is causing them to exit or swipe away. Use these insights to inform future stories content. 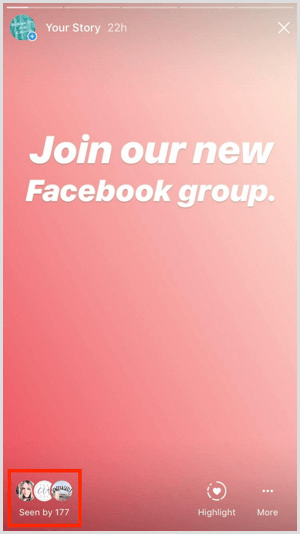 Note: Currently, Insights doesn’t provide data for Instagram Live content. To see insights for an individual story, open the story and tap Seen By in the bottom-left corner. From here, you’ll see which users saw the post, total impressions and reach, and what actions were taken on the post. The actions include replies, swipes away, and clicks on stickers and tagged accounts. You’ll find the Promotions section at the bottom of the Insights homepage. 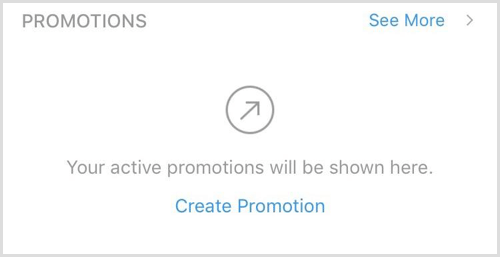 Here you can create an Instagram promotion and view active promotions. 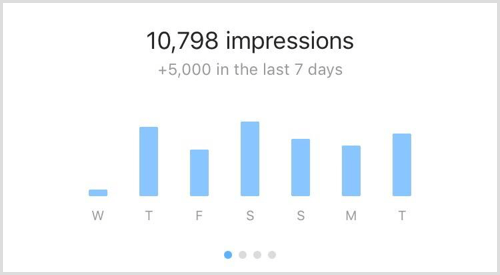 This data gives you a quick summary of impressions vs. engagement and clicks to profile on a promotion. You can also view a breakdown of the audience that viewed this promotion by gender, age range, and location. 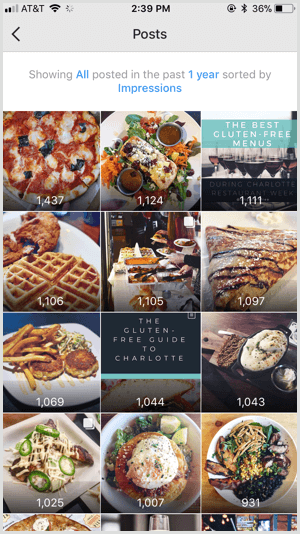 Instagram Insights is a free tool for analyzing your content without ever leaving the app. The data you find helps you learn more about your audience, what content is engaging them, and how your ads are performing. Use this valuable information to guide the type of content you create for your audience and when you publish it. What do you think? 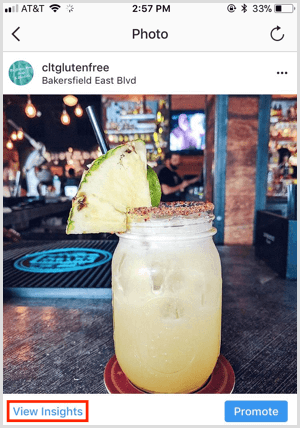 Do you use Instagram Insights to assess your marketing efforts? Which metrics do you find most valuable? Please share your thoughts in the comments below.